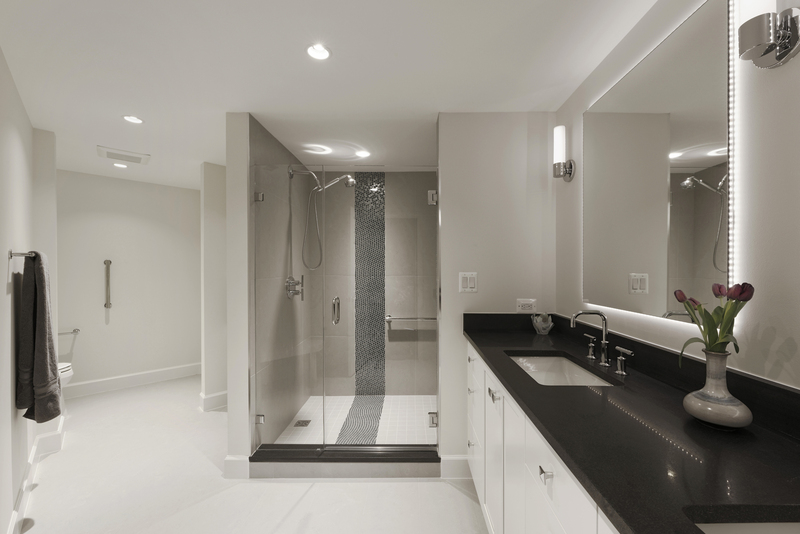 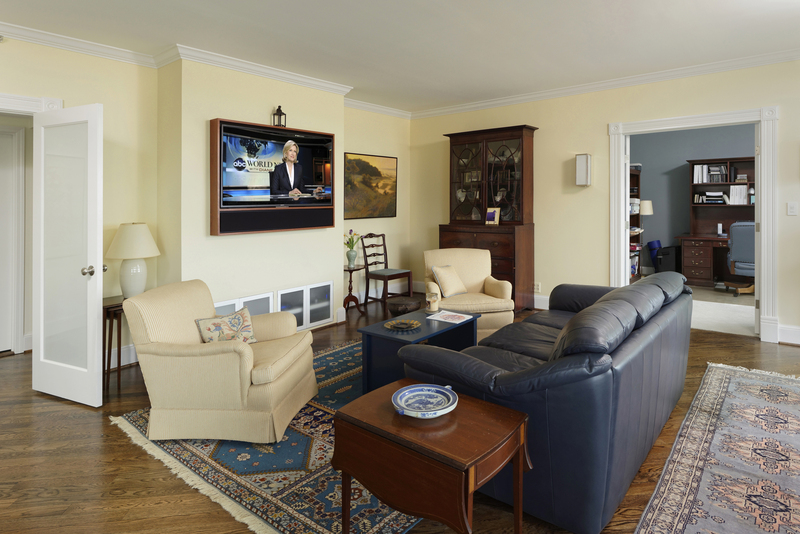 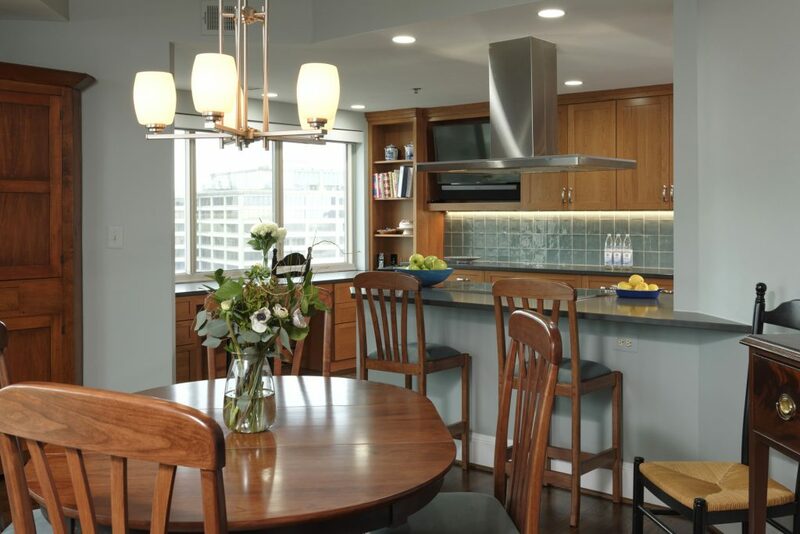 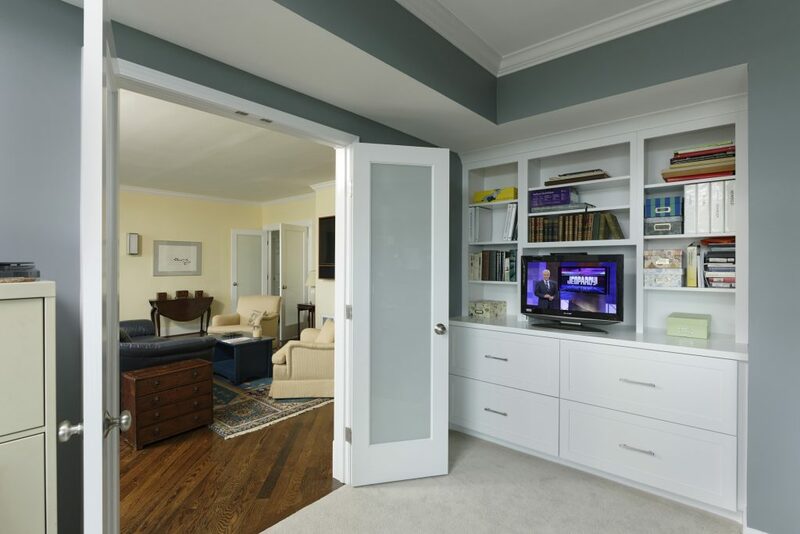 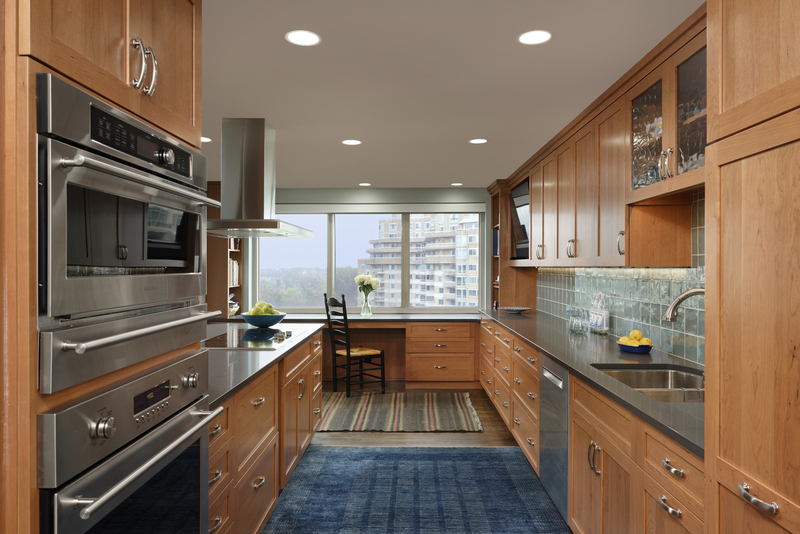 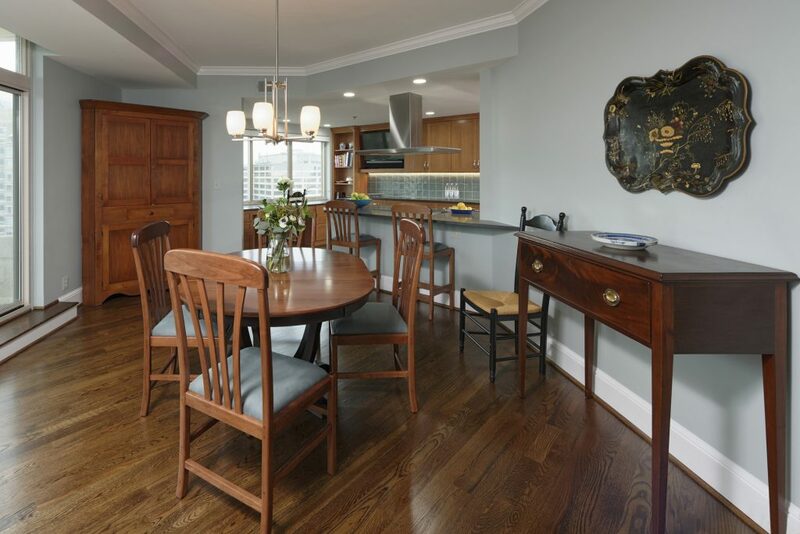 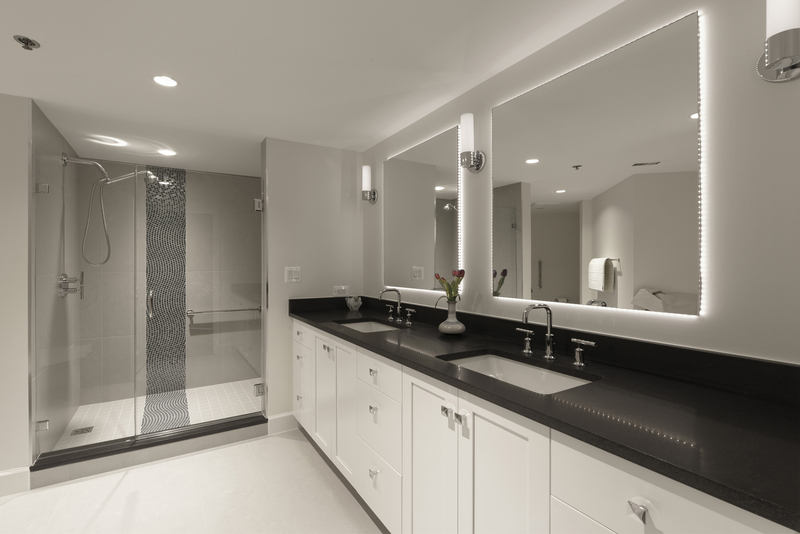 Having recently purchased a 25-year-old condo in one of Chevy Chase, Maryland’s most exclusive buildings, the homeowner wished to update and modernize the unit while recreating some of what she loved about her previous single family home. 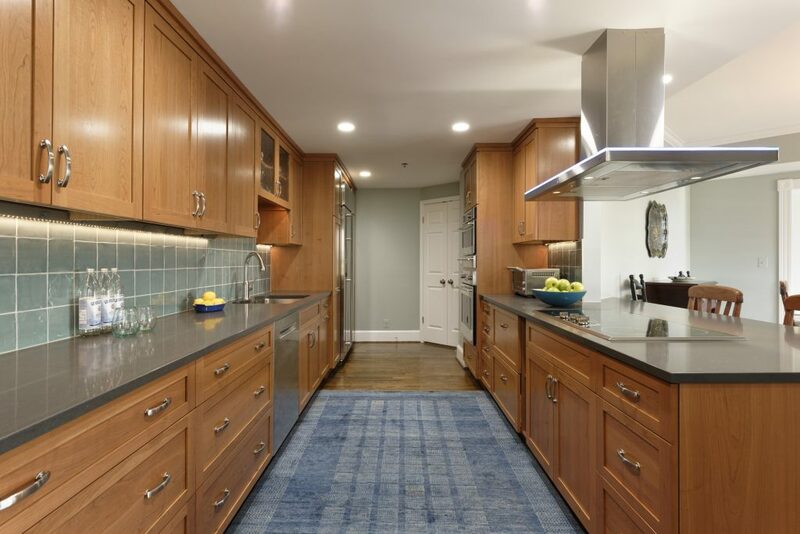 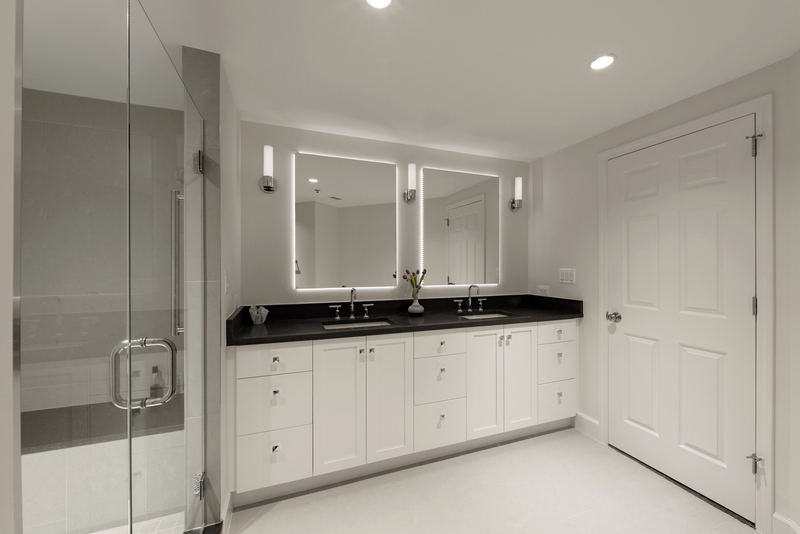 Her goals were to refresh the galley kitchen and master bath, add and improve upon her previous luxury finishes and open up the compartmentalized floorplan. 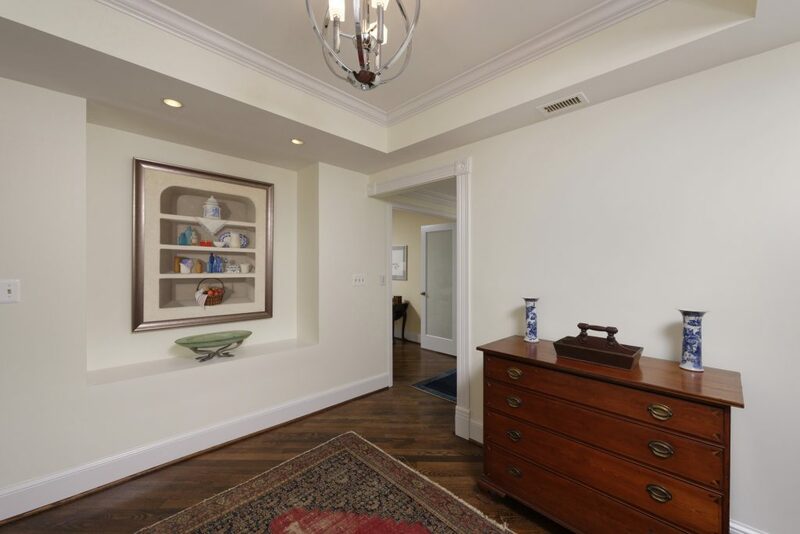 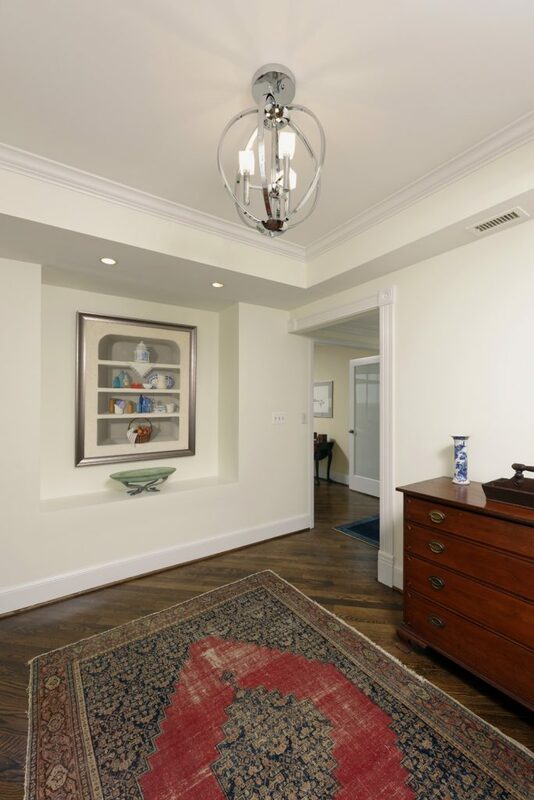 Beginning with the foyer, which was reworked to include a custom nook for a favorite painting, each area was thoughtfully designed to provide an open, casual feel while maintaining defined spaces. 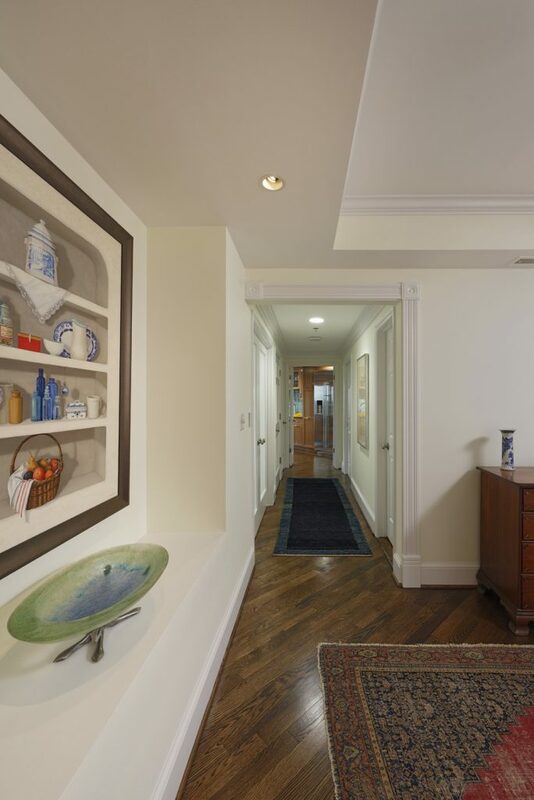 The wall between the kitchen and dining room was removed which brightened both spaces, created better flow and allowed for a straight line of sight from one end of the unit to the other. 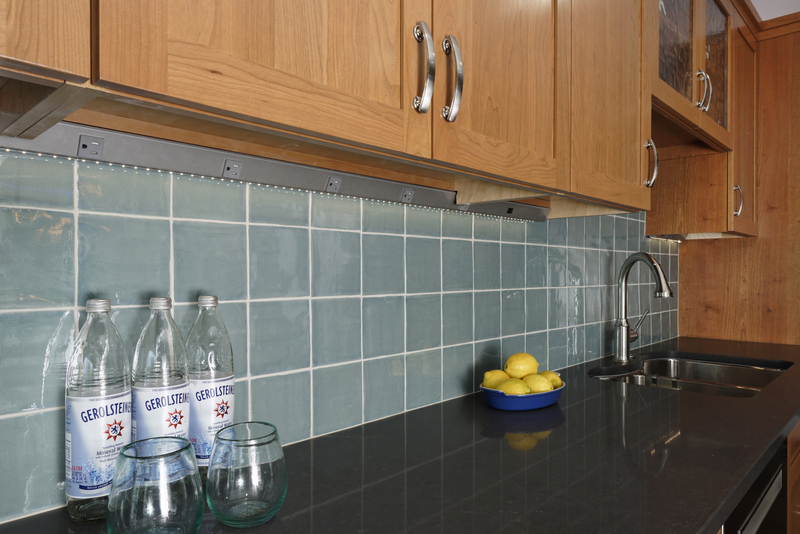 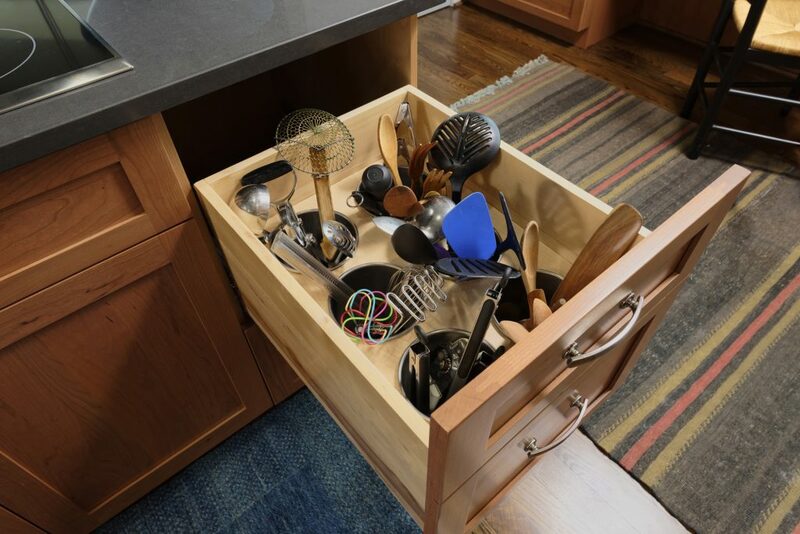 The homeowner is thrilled with the outcome and marvels at her new kitchen, which she finds has more usable, functional storage in a much smaller space.